Southampton City Council this week announced its proposals for the period 2019 – 2020 which removed another £15.05 million from the budget. This budget appears to propose 123.04 staff redundancies over the next two years – the majority of the reductions proposed to made in Adults and Children’s and Families’ Services. UNISON and Unite have raised that these two services have had the brunt of the cuts, with other areas seeing very little. Both unions have serious concerns about the impact these proposals will have on the most vulnerable in our community. In Children’s Services, some of the most shocking decisions include to reduce the Sure Start play offer and replace staff with volunteers. In addition, there are proposals that the contact scheme for Looked after Children could be “delivered by a partner” who would be “more flexible”. These services provide children with the best start in life and should be delivered by experienced professionals and not by volunteers or profit driven organisations. Our Council staffed Contact Scheme already delivers a flexible service, with weekend cover. UNISON and Unite will not support our public services being replaced with private providers. In Adult Social Care, the proposals are to close the last two remaining Council owned residential care homes in Southampton: Glen Lee and Holcroft House, potentially leaving 80+ employees redundant and closing the home of vulnerable residents suffering varying degrees of dementia. UNISON and Unite have launched a petition on Southampton City Council’s ePetition site asking the council to drop its proposals to close Glen Lee and Holcroft House. The petition can be signed by a person of any age who lives, works of studies in the area of Southampton City Council and is open for signatures until 16th January 2019. 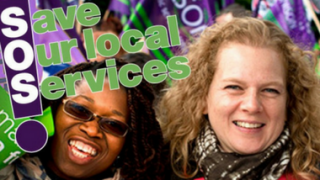 UNISON has, along with Unite, notified the Council that we will be opposing this budget, and that both unions will be campaigning against the closure of the two care homes, along with the dramatic cuts to Children’s Services. 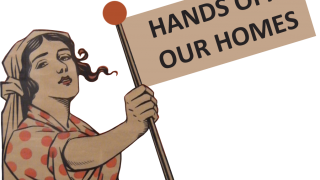 Trade union representatives have already met with staff from the care homes and attended the meeting held by the Council for families of residents. Families and friends of residents are fully supportive of our joint campaign and UNISON and Unite are in the process of arranging meetings to discuss our campaign activities and forming a campaign committee. UNISON and Unite representative will be attending as many briefings as possible with workers and the community. If you would like to get involved please contact the Southampton District Branch of UNISON or the Southampton and West Hampshire Branch of Unite for more information.